Home / Health / Why Must Drink Lots Of Water When Flu? 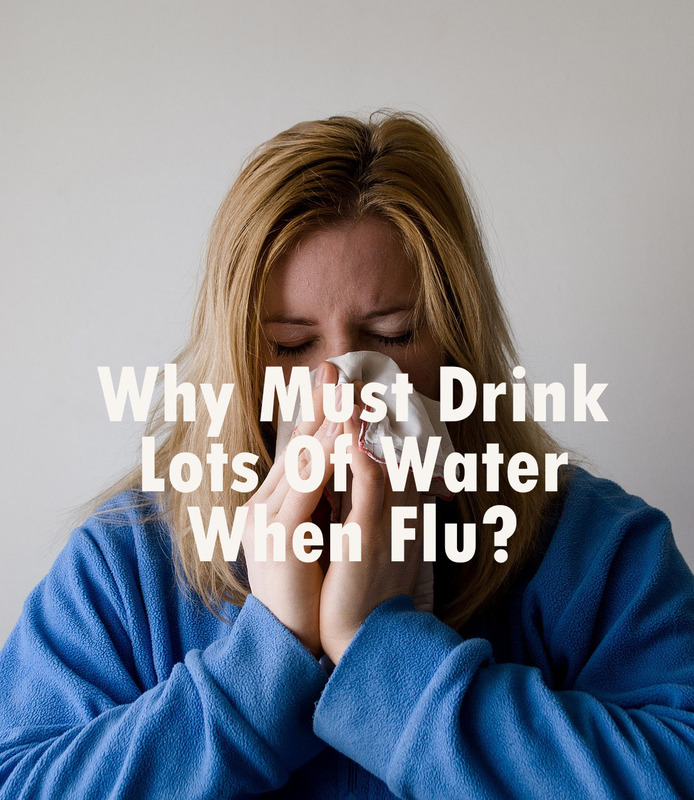 Why Must Drink Lots Of Water When Flu? Maybe you often hear the suggestion "Don't forget to drink lots of water when you get sick". Even though we actually need to drink enough water when sick or not, of course you agree with the recommendation. This must be done when being attacked by flu. 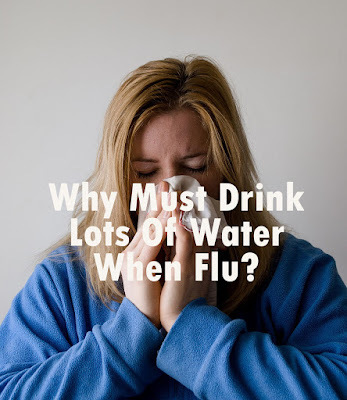 Why must drink water when flu? Every cell in your body consists of water. Some of these cells have worked hard to fight germs that make you sick or runny. When you are sick, including when you have a cold or fever, the amount of fluid in the body decreases. So, so that the body can still fight germs, you need to drink lots of water. In addition, symptoms of runny nose and fever make you very easily sweaty, diarrhea, or vomiting. These conditions make the amount of fluid in the body decrease. As a result, you are vulnerable to dehydration. If you don't drink lots of water, instead of recovering from the body, the condition can get worse. Drink plenty of water can help relieve mucus under the nose and reduce the occurrence of blockages in the nose. So, you will quickly free from runny or stuffy nose. Water is the best liquid to drink when you have a cold, because water can help lubricate the mucous membranes of the throat. Especially if the drinking water in the form is still warm. This is the best choice. Because hot drinks still have hot steam which can reduce your cold blockages. How much amount of fluid should you take during the flu? When you experience a cold or flu, drink at least eight cups measuring 250 ml every day. Even better to drink more than this limit. Drink too soon every time you feel thirsty. For children aged over 1 year who are having a cold, make sure they drink at least 90-120 ml of water per day. If a child under 1 year is required at least 30-60 ml of fluid per hour. Monitor the child to always drink during a cold or flu. For pregnant women who are having a cold, a minimum fluid intake of 10 glasses per day must be met with a minimum of 250 ml glass. Warm tea can help relieve nasal congestion and also sore throats that may appear to accompany your flu or runny nose. Plus, a cup of warm tea gives a sense of comfort to the body. Instead, choose one of the teas with a mixture of herbs like ginger. Ginger will help encourage the immune system to become stronger. You can also add real honey to get extra comfort and help you sleep better. Lemon is a high source of ingredients for vitamin C and other antioxidants. Lemon can help strengthen the immune system against diseases that cause colds or viruses. You can mix lemon juice with a glass of hot water and one tablespoon of honey to make your lemon water taste more delicious and soothing. Not necessarily in a glass or cup, you can also get liquid from a warm broth soup. The broth soup even contains more complete nutrients than other drinks. For example, for example, you make chicken broth soup. In the soup there must be many components of vegetables, right? You can also add shredded chicken in it. As you already know, vegetables are a source of vitamins and minerals for the body, while chicken is a protein. Second, this nutrient component is very necessary in the formation of the immune system so that you are getting stronger. Not only strengthens immunity, soup also contains calories, this is what can help you meet the calorie needs needed. Also, read Benefits Of Drinking Warm Water In The Morning.